It may be strange to enjoy feeling powerless and vulnerable, but if, like me, you love video games of the horror genre, it is at times like this you’re having the most fun. Who could forget the first time a zombie dog bursts through the window of the Spencer Manor in Resident Evil, causing you to squeal at a pitch only the dogs would be able to hear? Or the stomach-churning moment when you first come face-to-face with Alma, the malevolent little girl of the F.E.A.R series, as you back into the first corner that will have you. And I wouldn’t be worthy of discussing horror if I didn't mention the tense necromorph-dodging beginnings of Dead Space 1 and 2, armed with nothing more than a torch and a screaming voice in your head telling you to run, for god’s sake, RUN. Luckily, there’s now a game that seems to have been created for one reason, and one reason only; to make you feel as small and insignificant as all of these video games before it have been able to do. 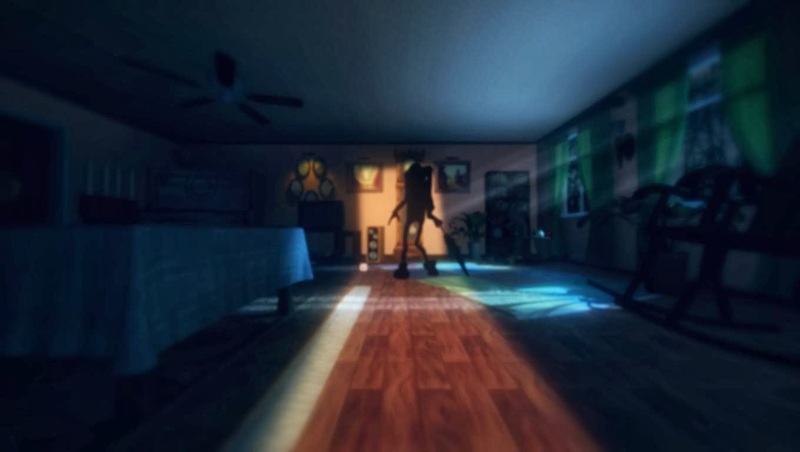 This game is Among the Sleep, and it is the first game by the indie developers at Krillbite Studio. You play a toddler, your parents are missing, and there’s something in the house. That was all I needed to try out the alpha build of the game now available to the public. The demo starts in your cot, a mobile swinging lazily above your head, and the sweet (albeit eerie) sound of your mother singing you to sleep. Soon your lids begin to droop and you fall into the deep sleep of a child, but not for long. You awake some time later to the sight of your dear teddy-bear being dragged out of your cot by an unknown force. Then, before you can so much as shake a rattle, your cot is wheeling across the room and tips over, throwing you to the bedroom floor. With the bedroom door ajar and no-one arriving to stifle your cries, there’s nothing to do but crawl from the relative safety of your room to find out what’s going on. Attempting to spell out 'bad parenting'. With the touch of a button you can switch between two methods of transport available to the toddler, standing upright and walking, or crawling on all fours. Like any child of that age, standing is somewhat slower as you take your first tentative steps around rooms, but allows you to reach higher objects such as drawers. The latter allows for speedier movement, as well as letting you hide under tables and beds whenever your beating heart demands. And believe me, it will demand. There are even toddler-sized puzzles to solve such as moving a chair to reach a door handle. They are satisfying to figure out, and fit with the kind of tools that a toddler has at its disposal, while leaving you feeling even more vulnerable while your chubby, little mitts are busy. Then, after you’ve opened the door and feel momentarily pleased with yourself, you realise that it now means you have to go into that next room, and it’s suddenly not so pleasing anymore. 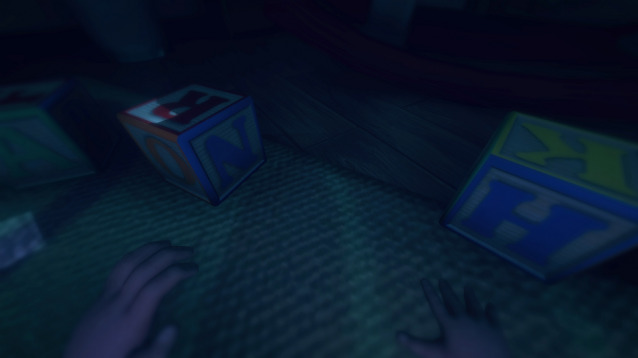 There are a number of reasons why Among the Sleep manages to be so damn scary. For one, it looks beautiful. Considering it is an early build of an independently-developed game, each shadow stretches convincingly toward you, every object towers above your delicate head, and beams of light cut through the darkness from the full moon outside. The beams of light do nothing to cut through the tension. Another reason is the sound design, which keeps you on edge from the beginning to the end of this underwear-soiling demo. Whether it’s the creak of a door or chair, a crackle of lightning, or the sound of your mother’s lullaby drifting after you, you’ll never feel relaxed. One more reason, and it’s enough of a reason to dwarf all the others, is the brief glimpse you get of the creature that has entered your home this night; a horrifying mix of boogie-man and child-catcher. If you didn’t have to push on through the fear to find your mother, he’s enough of a reason to crawl back to bed, put your head under the covers, and never come out again. That thing he's holding? Probably an umbrella to shelter from your tears. Though the demo itself isn’t that long (though I suppose it depends on how long each person spends cowering in wardrobes), it closes with a mystical element that left me wondering where the game will take the player. In the back of a cupboard, you crawl into a portal that appears to take you to another world, but before you get much further, the demo is over. I’ve been excited about this game since I saw the first trailer, and after playing the alpha build for myself, I wasn’t disappointed. From this early look at Among the Sleep, Krillbite Studio seems to have created a visually-stunning journey of toddler terror with sound design that will raise the hairs on the back of your neck and keep them there. It will be interesting to see where else this unfortunate toddler will have to travel to get his mother back, but I for one will be heading there with him as soon as the official game is released. 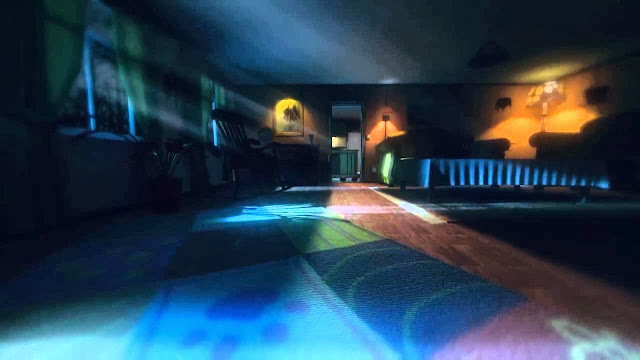 If you want to try the game out for yourself, just head to the Among the Sleep page on Kickstarter. Oh, and if you need even more of a reason to be interested in this game, which you shouldn’t, did I mention that there’s also a talking bear?